Fitness and homeschooling don't necessarily go hand in hand. We have no official PE class.....which, to me, isn't necessarily a bad thing. The good side to that is there are no community showers...or locker rooms so your classmates can see more than you want them to. No climbing that big, fat, rope with all your classmates staring at you. No hanging from the bar, while your arms shook like crazy and your teacher held a stop watch....again, with all your classmates staring at you. 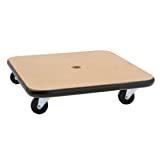 No roller skating in gym 3, during those awkward, wear waaaay too much make-up years, in middle school....wondering if anyone would ask you to skate for the slow songs....and secretly terrified someone actually would. No running over your fingers with these little babies.. They were fun though, weren't they? Almost made the broken, bleeding fingers worth it. Don't even get me started on the horrors of Dodge Ball. The down side of no PE class can be Homeschooler Couch Potato Syndrome.....also known as HCPS. You see, we do a lot of reading as homeschoolers. There are always books strewn around the house. You can find at least one kid laying around somewhere reading up on ancient Egypt or dinosaurs, or even algebra. Where do homeschoolers do all this reading? There is also the issue of homeschool parenting. You spend a lot of time sitting at the computer, or next to a child on the couch, or sitting at a desk correcting papers. And....as any stay at home parent knows....you also spend a lot of time finishing the last bite of various things off your kids plates. We tend to be a frugal bunch too. What do all of these things....potentially....add up to? Unfit, well-read, homeschool families......enter HCPS. 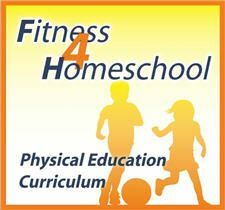 Imagine my surprise when I received a chance to review Family Time Fitness, A Homeschool Physical Education Curriculum. Who knew something like that even existed?!?! I mean, every now and then....usually when I got on my own fitness kick....I would say to the kids that we were going to get better at exercising....go for more family walks.....do some stretching, etc. But, like my own fitness kick....those efforts were short lived. They were short lived for various reasons.....what could all 7 or 8 of us do together? Little legs couldn't walk as far or as long as the bigger legs.....well, I guess I shouldn't really say "bigger" legs. My legs are plenty "big" and they couldn't last as long as some of the other sized legs in this house! You also know, if you have been reading my blog for any length of time, that sometimes.....just sometimes....I don't like to think. So, if you present me something to try where I really don't have to think or plan anything on my own. I am all over that! Family Time Fitness didn't require any thinking. I did have to find a few items that we could use....like hula hoops....jump ropes, and safety cones (which I just used canned vegetables instead)....but I can handle that kind of thinking. 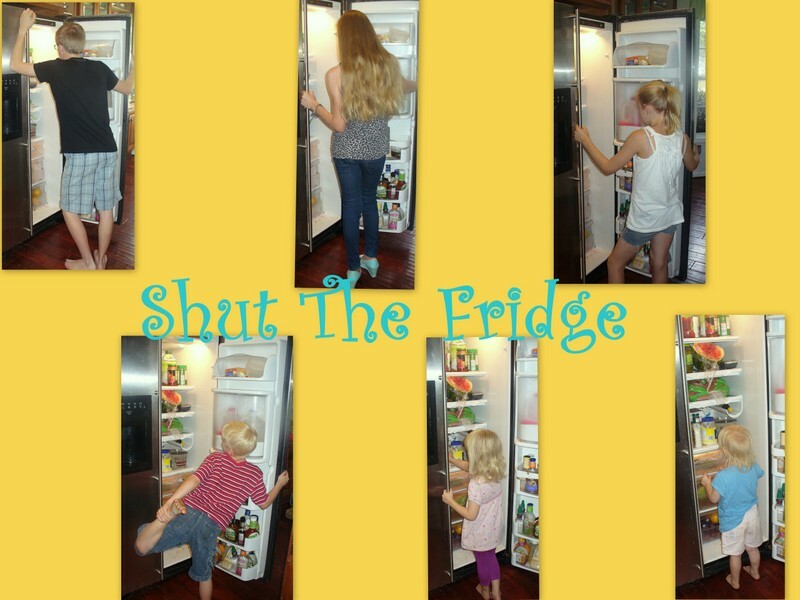 We homeschoolers can be a creative bunch when we need to be! We got the chance to try their Core 1 program for grades K-8....which included 260 lessons. Already planned out lessons and activities. All I had to do was either look at the lesson on my computer or print it out and go from there. I printed out the first 20 lessons, put them in a 3 ring binder and off we went. The beauty of this program was that most of the stuff was fun.....sneaky exercise....but fun. I mean really, wouldn't you like to watch Rainman and I skipping side by side....or doing frog squats? Apparently Rainman and I are not as coordinated as we remember. There was a lot of laughing when we were attempting some of the workouts. Extra ab workout right there, I tell you. Each lesson is broken down into a page or so of stuff to do.....including warm up and cool down....and takes about 30-40 minutes...give or take a bit. The lesson starts by telling you what skills will be taught....what kind of equipment you need....then it goes into the workout. They have some creative names for some of the things....like frog squats or the starfish. Each item includes a brief description of how you do it....but, if you need to see something to understand it, there is a link listed on the lesson plan (if you look at the lesson on-line, the link will take you right to their You Tube page to see how it should be done). I have talked about frog squats quite a bit....would you like to see what they look like? I did not allow any pictures to be taken of that....but here are some other ones....of us doing some of the relay race kind of stuff. L-girl showing V-girl how to crawl around the can of vegies. It was fun to see V-girl trying to do everything alongside of us and asking, "Like this? Is this right?" There is just something precious about a 3 year old trying to master the Palm Tree or Mountain pose during cool down! We took sort of a unique approach to incorporating Family Time Fitness into our school day. I wasn't always in the mood to lead the class or to even make sure I could find everything we needed (like the hula hoops or jump ropes)....so, I delegated. D-man was in charge on the day I took pictures....so I could take pictures (okay and so I didn't have to crawl on the ground between the cans of vegies). The kids took turns teaching or co-teaching. Rainman joined in on days he was home from work. They had fun being the boss and being in charge of everyone. We had the intention of doing this 5 days a week....but, in the reality of our schedule, it only happened 2 or 3 times a week most weeks. But, that is still way better than what we were doing before! The only draw back was that it is still hot here in Georgia, so at times, we didn't want to be outside doing some of these exercises....so we we them sort of clumped up together on the main level of our house. That meant some people were in the living room, some were in the hallway and some were in the kitchen exercising. I am so glad we found this program. It filled a need that I didn't really want to admit that we had....if you know what I mean. It really is fun and we really did laugh a lot everyday. And, honestly, this is real exercise. Many days I was sore from doing so called fun/easy stuff. Like the above mentioned frog squats...or the ankle alphabet (where you lay on the ground and lift one leg at a time and draw the alphabet in the air with your toe)....that one hurt....maybe because I have had 5 c-sections....but maybe because I am a homeschooling mama....suffering from HCPS. If you think you may have a need for an at home fitness program to use with your WHOLE family, take a look and see what they have got. They have a different version if all of your kids are older. Take a look at what they have for High School Fitness. It focuses on something called, Foundational Strength. Here is a sample workout plan with that purpose in mind. Go read about more details of that this Family Time Fitness curriculum will offer you.....there are even nutrition guides and basketball clinics available. Check this out, if you are a Scope and Sequence kind of parent/teacher. The beauty of all of their programs is that they are designed to be done with very little space and need very little money to get the equipment you need. (Plus, you can be like me and borrow things from neighbors (Thanks, Tina!) or use canned vegetables in place of safety cones!) All of the options are much cheaper than a gym membership for the whole family....and usually at the gym, you put your little ones in the child care room. I think it sets a better example for the kids if they are right there doing the exercises with you. Even if you aren't sure about whether you need this curriculum or not, go take a look around their website and make sure and sign up for their free newsletter that is full of tips, coupons, and articles about fitness and nutrition. The Family Time Fitness Homeschool Curriculum, that gives you the 260 completely planned out lessons costs $57.00. I know.....waaaay cheaper than a gym membership where there are all those germs and you have to trust that people have actually wiped their sweat, and bodily fluids off the machines. There is a Platinum package too that includes as bunch of other stuff, but it does cost a bit more. Go see what other HCPS sufferers had to say about Family Time Fitness. 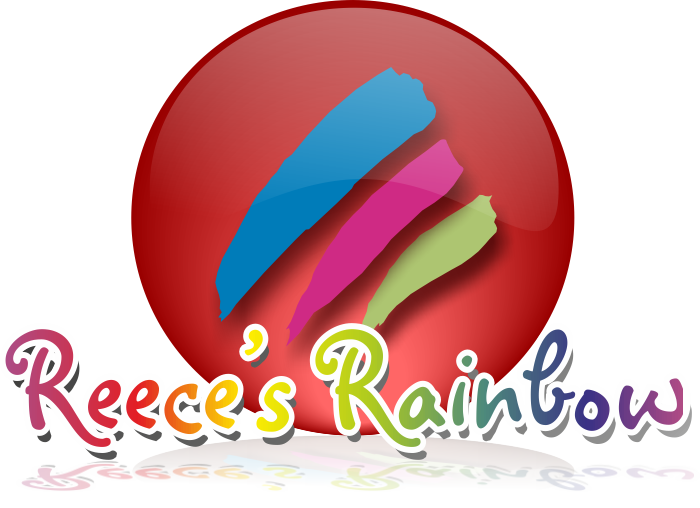 Disclaimer: We received the Family Time Fitness 4 Homeschool, Grades K-8th, for free, in exchange for an honest review.